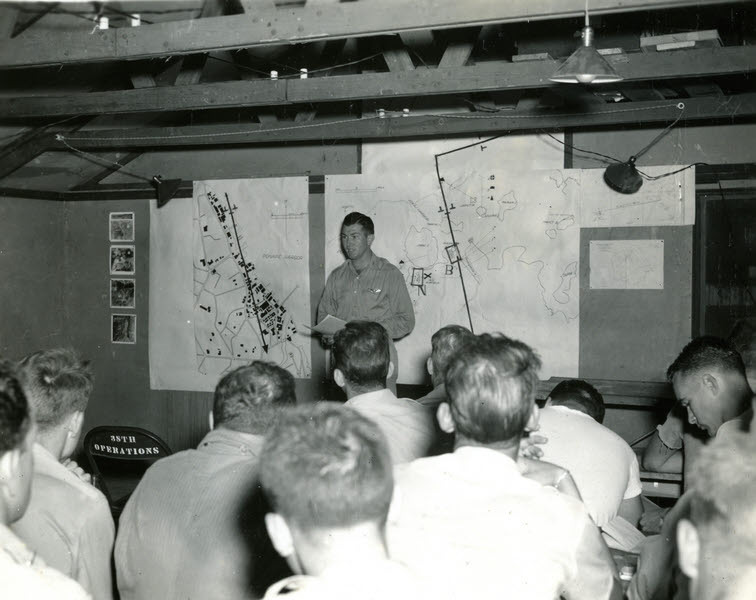 This picture shows a mission briefing for the 38th Bombardment Squadron, part of the 30th Bombardment Group. The target was Ponape Harbor, on the northern end of Ponape Island in the Caroline Islands, one of the Japanese occupied islands bypassed by US ground forces during the First World War. On this occasion the squadron was to approach from the east, then turn south to attack from the sea, and attack along the length of the harbor.